I’ve recently started to quiz my good clients when conducting my service calls, and was amazed to discover just how many don’t turn their alarm systems ON whilst doing school drop offs and pickups each day, or when leaving the house for quick trips to the shops. On an average, it seems that around 40% of my clients don’t arm their alarm systems when ducking out for 5 or so minutes, yet they consistently turn their security alarm on when they leave their home for long periods of time. When I questioned them further, I found that the main reason for this was because they believed that a burglar won’t have time to steal much in such a short amount of time. Although this may be true, the alarm is there for a much more important purpose than protecting your belongings. The way I see it, the main advantage of turning your security system on is to ensure that when you come home, you are walking into a ‘safe’ environment and there isn’t a burglar or predator waiting for you when you arrive back home. Unfortunately, this scenario does occur and can easily be avoided by simply turning on your alarm system whenever you leave the house. 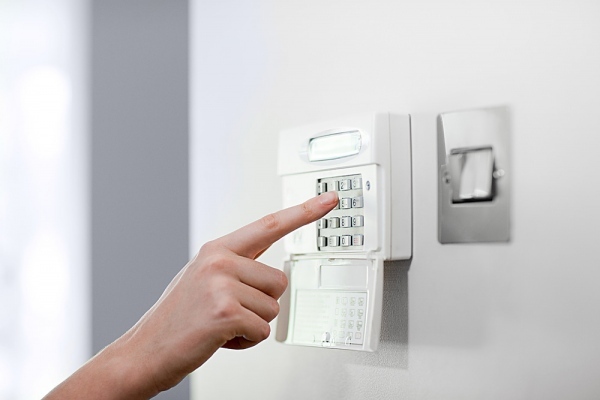 It is strongly recommended that you ensure your alarm system is armed whenever you leave your home. It only takes a few seconds to turn on. The consequences of not doing so could be dire. Can you believe that whilst carrying out some routine burglar alarm maintenance visits in Wahroonga & Turramurra last week, three of my loyal clients admitted that they were guilty of the above, but have all promised to be more diligent in turning ON their security systems from now on.